Learn more about Scott Lovat. 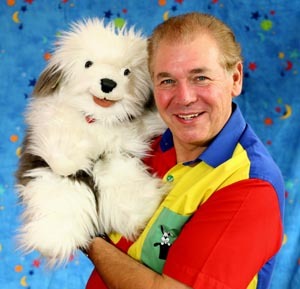 Having been a full time professional children's entertainer for over 30 years, I reckon I have performed at just about every kind of function you can think of including private parties to very large events. I am a past president of Edinburgh Magic Circle and a member of the Ace Performers Group, and have been involved in magic as an amateur and professional for most of my life. Being a professional, I have full liability insurance, enhanced disclosure documentation available upon request and all of my electrical equipment is PAT tested annually.